JDC Archives staff introduce audiovisual collections at international expert forums. 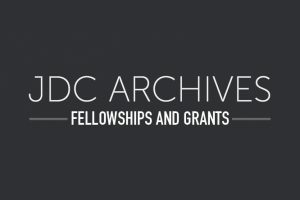 Historical films and videos from the JDC archival collections provide a compelling visual representation of JDC’s global, rescue, relief and rehabilitation activities. Our film collection includes over 150 titles, primarily by and about JDC, produced from the late 1920s through the 1970s. These films are kept in climate-controlled storage via the National Center for Jewish Film. In addition, our JDC-related video collection, covering the 1980s through the 2000s, includes an estimated 2,200 original recordings, among them edited productions and raw footage, which are accessible at the JDC Archives. These films and videos hold significance for filmmakers, curators, scholars, researchers, educators, genealogists, and family historians. In an effort to publicize this invaluable resource and discuss issues surrounding their preservation, digitization and use, JDC Archives staff recently presented at two conferences. Linda Levi, Director of JDC Global Archives, speaking at the 36th International Association of Jewish Genealogical Societies (IAJGS) Conference in Seattle, WA, in August 2016, screened clips from JDC’s rare archival footage from the 1940s, 1960s, and 1990s of Jewish communities in North Africa, the Middle East, Aden, and Sarajevo. Levi’s presentation was an important effort to highlight the Sephardic experience through the lens of films produced by JDC. 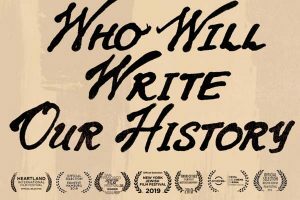 It alerted genealogists to the potential of using archival films for their research, and introduced them to the wealth of information in the JDC Archives about Sephardi Jews. A considerable amount of JDC archival footage concerns the Holocaust period. Films record JDC’s efforts to help European Jews during and after the Holocaust. 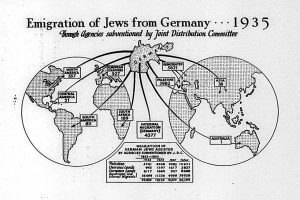 They show critical ground conditions in the regions and communities directly affected by the rise of Nazism, illustrate some of the specific survival needs of Jews in the line of fire, and document JDC operations to address these life-threatening problems, including efforts to help European Jews to seek refuge in places across the globe. 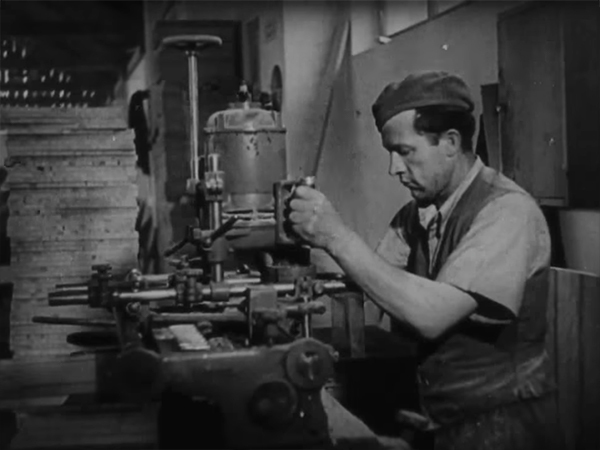 The JDC film collection also showcases JDC’s assistance to Jews in the postwar period: in Displaced Persons camps, in Jews’ countries of origin, and in their places of refuge. Linda Levi and Minda Novek, JDC Film and Photo Archivist, presented at the European Holocaust Research Infrastructure (EHRI) Workshop, “Holocaust Archival Film Footage as a Historical Source: Methodology and Ethics in the Digital Era” at Yad Vashem, Israel, in September 2016. They discussed the background of JDC’s film collection from this period; efforts to make these films accessible for a number of purposes and audiences, including integrating them into the JDC Archives searchable database; and the challenges in identifying JDC Holocaust-era films from the collection for preservation, digitization, accessibility, and utilization. These are key issues that 30 experts from 9 countries addressed in this three-day workshop. JDC’s historical film and video collection is a rich resource for educators. The JDC Archives has prepared topic guides that introduce various teaching resources. Four topic guides are currently online, and more are planned. These educational aids provide concise summaries of subjects that relate to JDC, Jewish, and world history. They include a sampling of primary documents, photographs, film suggestions, and further readings. The “JDC in the Displaced Persons Camps (1945-1957)” topic guide includes three digitized film clips that tell about JDC’s assistance to needy survivors, illustrate the exodus of Jewish survivors who fled from persecution in their home countries, and document the departure of survivors to the newly created State of Israel.